The 2012 Chardonnay offers caramelized citrus and buttery fruit, but it seemed more restrained, and not as open or easy to evaluate as the 2011. I suspect it was holding something in reserve. 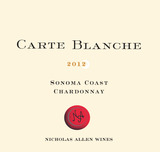 Bold, rich and creamy, both in flavor and texture, with dashes of blood orange, pear, nectarine and honeydew. This is expansive and shows a pithy edge on the finish. Drink now. 350 cases made.